Korea’s telecom and wireless industries are among the best in the world, as recent figures published over the weekend revealed, and further proof of the high-tech nature of the country comes via operator SK Telecom, which has just passed 4 million LTE subscribers. While figure is impressive for any operator, it’s particularly remarkable as the landmark has been reached just 44 days after the operator hit 3 million. That’s a growth rate of 41,000 new signups per day. Not at all bad for a country with a population of around 50 million. That sign-up rate is a 71 percent increase in new user acquisition numbers from June, and the firm says that the newly launched Samsung Galaxy S III LTE is a chief factor driving the additional demand. Sales of the flagship Android-based phone on SK’s network reached 200,000 just 10 days after it become available in the country. The company is also seeing a spike from becoming the first global carrier to offer multi carrier-(MC) technology. The service began July 1 and is initially operational in Seoul’s Gangnam area only, but the carrier has already sold more than 300,000 compatible handsets. With its 4G technology network ramping up, and compatible device ownership increasing, SK is also focusing on its content business: ‘T Freemium’. The multimedia platform, which provides subscribers with movies, dramas, games, applications, ebooks and more, recently passed one million users. SK also revealed that, more than 6 million pieces of content had been downloaded with its first 100 days – which passed on July 10. An appreciation of technology and mobile data is surging in Korea, where more than half of the country’s mobile phone users own a smartphone. 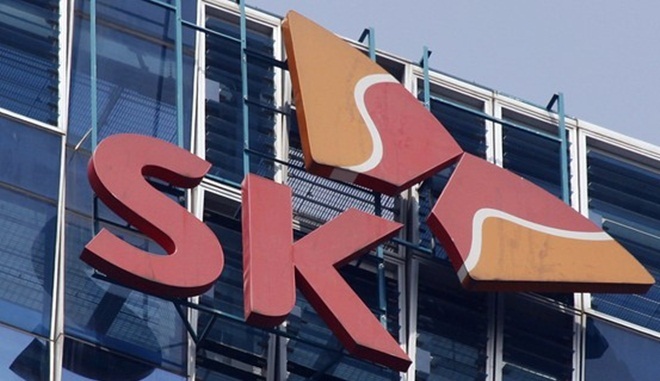 SK remains the dominant force, accounting for more than 50 percent of the market, thanks to its 26 million subscribers.